Bone meal is a popular organic fertilizer for gardens and flower beds, consisting of the ground-up bones of livestock. 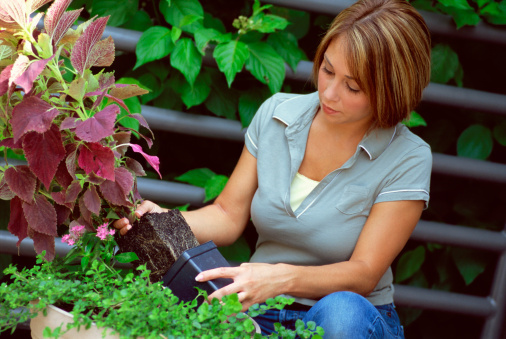 It contains nitrogen and phosphorous to nourish plants, as well as calcium, an important mineral for perennials. In addition, it is a natural slow-release fertilizer, releasing nutrients into the soil as the bone decomposes. 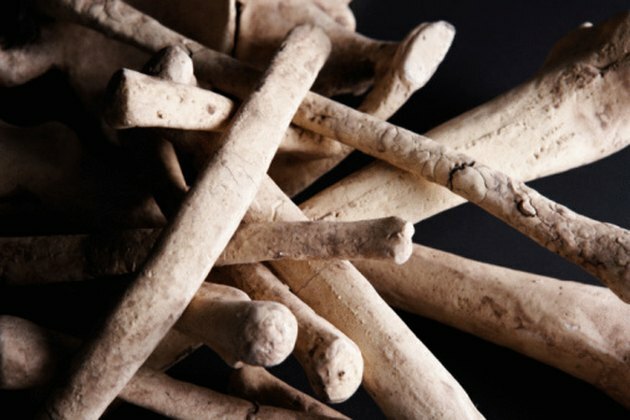 It is a relatively simple task to make your own bone meal using leftover bones from cooking. Bone meal is an effective organic fertilizer you can make at home. Clean the meat and fatty tissue from leftover bones. If you can't remove all the tissue by scraping, boil the bones until they are clean. Bake the bones at 400°F until they are thoroughly dry and brittle, about an hour for most small to medium bones. Set aside until cool. Place the bones in a heavy tear-proof sack, preferably canvas. Using a rolling pin or meat tenderizer, smash the dried bones into fragments no larger than 1 inch. Grind the bones in a coffee grinder or blender set to pulse.